“Machine Guarding” is the engineered control of hazardous energy during the normal operation of a machine. 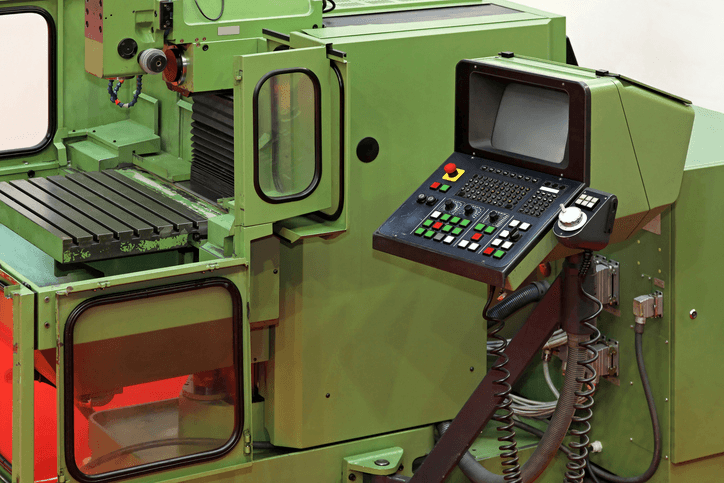 The requirements for proper machine guarding can be found under OSHA 29 CFR 1910.212, General Requirements for All Machines, as well as in industry specific regulations like OSHA 29 CFR 1917 relating to marine terminal operations and equipment. Recently, ARCCA’s engineers were asked to evaluate several different cases of machine guarding from several different industries. In each of the cases, it appeared that the machine guard was either not interlocked, or it was, but the interlock was defeated. For a machine in the proximity of workers, the areas of hazardous energy exposure are typically guarded with a fixed guard or barrier if the workers do not have to be in those areas during the normal operation of the machine. The problem is that workers may have to perform functions either within the machine or proximate to its line of action as a normal part of the process. 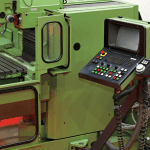 For example, an operator may need to load a billet of material onto a lathe and then subsequently remove the machined material from the lathe. Also, the operator may need to clean the area of operation or make a tool or cutter change before performing the next job. Normally, lockout/tagout procedures to control hazardous energy do not apply to normal production operations. However, per 1910.147(a)(2)(ii), servicing or maintenance taking place during normal production operations is covered by the lockout/tagout standard if employees are required to remove or bypass a guard and place any part of their bodies near a point of operation. But, in 1910.147(a)2(iii), the lockout/tagout standard would not apply if there are alternative engineering or administrative controls, or special conditions. The typical alternative engineering control for a guard that must be removed during normal operation is an “interlock”. When the guard is removed or opened, the interlock causes the power to the machine to automatically turn off. Additionally, electronic stops (e-stops) may be put near the point of operation, and other passive safety devices, such as weight or light sensors, may supplement the active engineering controls. Active and passive engineering controls can completely shut down the machine, equivalent to a lockout. Alternatively, these controls can be used as sensor signals to cause the controlling electronics of the machine to command a stop of all functions. Lockout by controls should never be used as a substitute for a full lockout/tagout system, because the controls and machine still have energy waiting for a command signal to cycle. Administrative controls, such as warnings, instructions and training, typically accompany lockout by controls to teach workers not to bypass interlocks and how to restart the machine safely without putting workers in harm’s way. Typically a series of steps at the operator’s station is required to restart the machine — replacement of the guard doesn’t automatically restart the process. This is to prevent an incomplete or intermittent closing of the interlock from quickly cycling and then shutting off the machine. Quick cycling could damage both the machine and the quality of the product.